Xiaomi has launched another new smartphone Redmi Note 5 Pro in India, which is an upgraded version of Redmi Note 4. It comes in two variants, with 4 GB of RAM and 6 GB of RAM. The price of its 4 GB RAM variant is Rs 13999 and the variant with 6 GB RAM is priced at Rs 16999. In the same variant the rest of the specifications are the same. If you want a smartphone within 15000 rupees then Redmi note 5 Pro with 4 GB RAM will be the best smartphone for you in this price range. In terms of Build quality and look, this smartphone is quite good. Its body is made of metal and its look is quite premium. Because of the bigger battery, its weight is slightly more than the other phones, but you will not have any problem in using this phone in hand. It has a full HD display with an 18: 9 ratio of 5.99 inches. This smartphone is also good in the case of display, you will not have any complaints from its display. Its display is bright and sharp. In the case of Camera, this smartphone is at the forefront of this price range. Both Front and Rear Camera are good, the photos taken by them are very good. Low light and photos taken at night also look good. Neither this smartphone is slightly better than the camera Redmi mi a1. With Redmi Note 5 Pro's Rear camera, you can take pictures of a great bookeh effect on the Portrait mode. With this smartphone's 4 GB RAM and 6 GB of RAM and its processor Snapdragon 636, you will not have any problems in multitasking tasking in daily life. You can use all kinds of aaps and games easily. Even for the Games lover, this smartphone is a good option in low budget. This smartphone has 64 GB of internal memory, which you can increase by using a hybrid SIM slot to add up to 128 GB of memory card. In this you have been given the version of Android 7.1.2 Nougat. In this phone you get a good battery like Redmi Note 4. It has an increased battery of 4000 mAh. This smartphone will give you a full 1 day battery backup even if you use this smartphone for 2 days and on heavy use. Due to the large battery it takes about 3 hours to complete the charge. This smartphone supports fast charging, but in the box you get a normal charge. 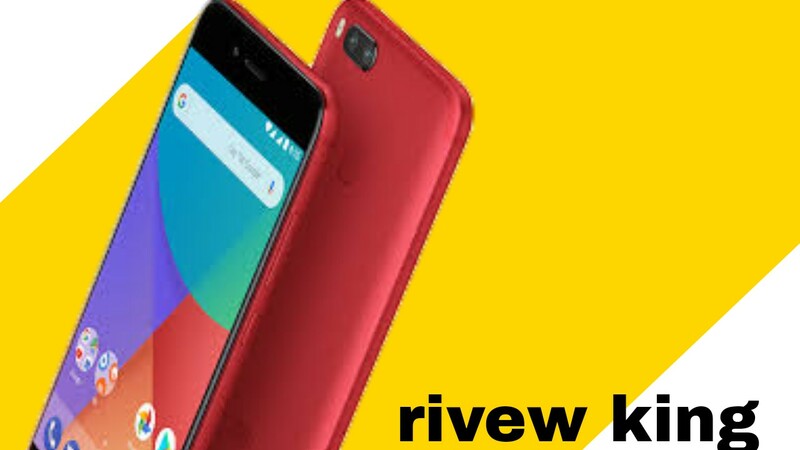 Due to the good camera, good battery and a good display of this smartphone, we will give this smartphone 9.5 stars out of 10 stars.